As solar lighting becomes more popular this is a question that pops up over and over again, so we thought we’d lay out all the facts for you now, along with a couple of helpful tips that might just surprise you. Now like most things this isn’t going to be a simple yes or no answer as it depends on so many contributing factors that you will need to consider. What is the purpose of the light? So the short answer is yes, as solar lights are waterproof they can be left outside all year round. However a huge factor to consider is what the light is built for; we have a selection, each made for a different purpose. 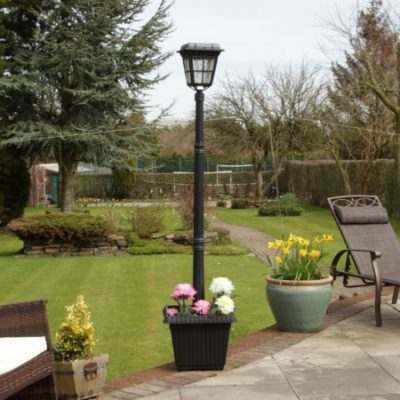 Security lights or lamp posts, for example, are built for the purpose of illuminating your driveway throughout the year so are made using highly advanced solar technology which allows them to work through winter. 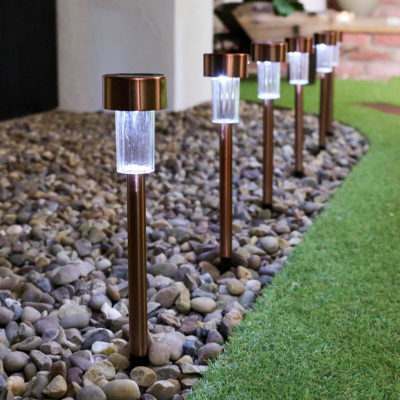 A small low-priced decorative path light, on the other hand, may not be built using the same technology as it is more of a novelty item and as such will see a decline in performance during the winter months. The flower lights as pictured above are a prime example of a decorative light that is mainly for summer use; this does not mean they have to come inside at winter but they are a lot less likely to work (light up) through this season, unlike this lamp post which is more than equipped to work through the winter months. 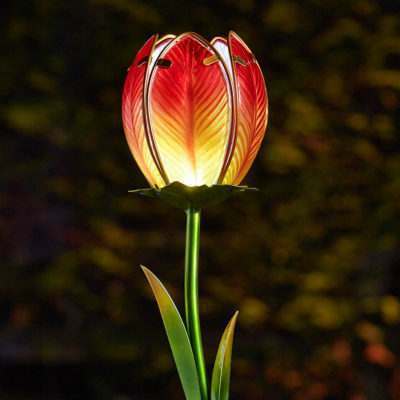 However we do recommend you store more decorative lights like this flower inside throughout winter just to keep them in the best possible condition and avoid any unnecessary damage. But remember if you do take it inside it will need a good charge when you bring it back out, so don’t rush it: get your solar panel in the perfect position and turn the light off for at least 24 hours. 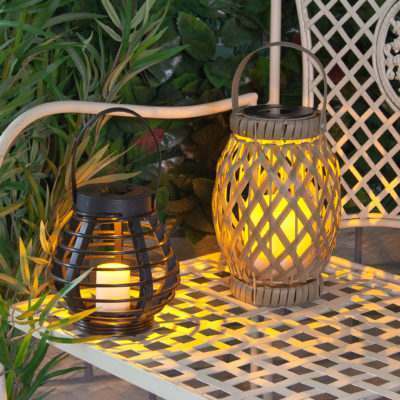 When you turn it back on you should have a fully charged light ready to enhance all your summer evenings. Really what we are trying to say is before you buy your solar light just have a think about what purpose you need it for, is it just something to brighten up your summer BBQ or does it need to have a more practical use? How much sun will the panel receive? 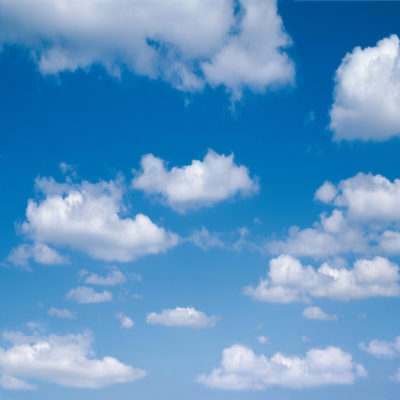 Another important factor to consider is how much daylight your light is actually able to get. As you can imagine, unlike in winter, as long as the solar panel is positioned well, you don’t have to worry about whether it’s getting enough sunshine in spring and summer. In summer you can expect your solar panel to receive charge from around 7am – 9pm, but in winter it suddenly drops to around 9am – 4pm and even these daylight hours are usually clouded over with very little quality sunlight. I know if I only ate a small amount between 9am and 4pm I wouldn’t have the energy to come out at night either! 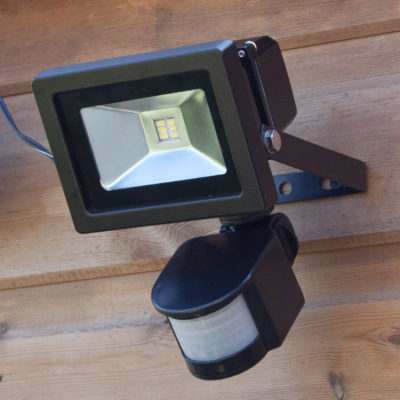 If you do require a solar light that will work through winter, then we would suggest buying one that incorporates a PIR Sensor. This is mainly found within security lights and practical driveway lighting, and works by only switching on when movement is detected nearby. A light of this type is normally fine for winter use, as it will preserve charge and does not waste unnecessary energy. 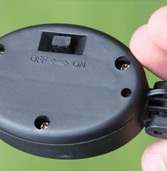 Most solar security lights have a PIR sensor option, allowing the light to only switch on when movement is detected nearby. Here are a few small pointers that can help you prolong the life of your solar lights even on the darkest of winter nights! The sun will be at its strongest point at noon (no matter the season), so you are always best positioning your panel so it can receive the most charge at this point. Sometimes this is the only time a light gets charge in winter. Simply point the panel towards the sun’s position at noon to make the most of this “golden hour”. Now you might think this is obvious but when we say obstacles we don’t just mean that putting a blanket over your panel is a bad idea. Light can be obstructed by any number of things like shade created by a nearby tree or bush, a sheet on a washing line or even glass. Just take a couple of moments to look round your garden to see where the best position is, you’ll be glad you got it right the first time! This is our last tip. Now I know we’ve said it before but it really is an unknown fact that solar lights will continue to charge while turned off! Not only does this mean they are more likely to get a full charge as they’re not wasting energy but it also means you can turn them off while you’re at work and back on when you’re home. Which means you can get the most out of your lights when you need them, even in winter! 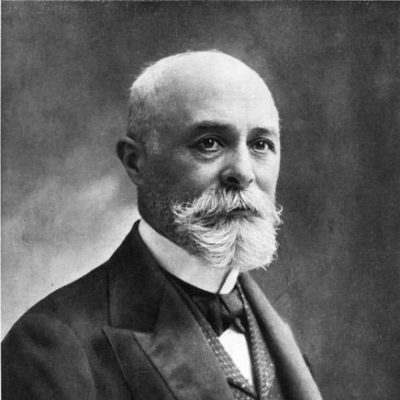 When were solar powered lights invented? Do solar lights need direct sunlight to work?